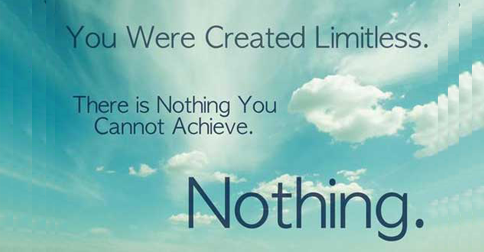 HJ: The old adage ‘anything is possible’ is absolutely true IF you have removed your biggest limiting beliefs. Thankfully doing so is a relatively easy and effective process. It can be accomplished on your own (although working with a qualified coach or mentor can greatly speedup the process), with a bit of tenacity and focus and some good guidance from articles like this. Below you will learn how to discover and get rid of limiting beliefs about yourself and your self worth — perhaps the biggest obstacles to the success, happiness, freedom and abundance most all of us crave. Is it time to clean out your attic? We are what we are, and we do what we do in life, because of a few key assumptions, beliefs, conclusions, and decisions – our “ABCDs” – that we make early in life and usually don’t change. These become the main ingredients of our self-concept: who we think we are. The degree of happiness we feel entitled to, the kinds of relationships we feel we deserve, the things we’re willing to “go for,” all are made possible – or limited – by our theory of life. Personal growth, either in a therapeutic situation or in the do-it-yourself mode, becomes possible when we figure out what theory of life we’ve been carrying around. Then it becomes possible to remake some of those key decisions if we believe they’re keeping us where we don’t deserve to be. That old cliché “Growth is painful” is wrong, in my experience and opinion. As I see it, not growing is what’s painful; growth is pain-relieving. It’s liberating. This is the process I call “cleaning out the attic” – figuring out what’s up there, what’s worth keeping, and what needs to be thrown out. In simple terms, you get the pain out of your life when you get the s#@% out of your head. The most important thing to understand about your theory of life is: you didn’t put it there. You didn’t choose it. Most of it accumulated in your very young brain before you acquired the gifts of self-awareness, critical thinking, reality testing, and competent use of language. But you act it out every day. Every one of those early inputs – the ones that were loving, caring, supporting, affirming, encouraging, and assuring, as well as the ones that were rejecting, punishing, depriving, demeaning, discouraging, and fear-making – became part of your theory of You. They’re all up there in the attic. Think of it as the “first draft” of your self-concept. Maybe you didn’t have much control over that first draft, but all of the revisions are now in your hands. If we were perfect people, we’d all feel lovable, capable, and worthy all the time. But because most of us aren’t, we all have certain deficits – nicks, dents, and chips taken out of our psyches in each of these three dimensions. One person might feel unlovable (low L), and unworthy of consideration by others (low W), but strong in a sense of capability, or personal capacity (high C). Such a person might be inclined to emphasize and develop the achievement dimension and settle for less in the other two. Another person might have been made to feel lovable (high L) and worthy (high W), but also made to feel incompetent and incapable (low C). People with mild developmental disorders such as dyslexia may feel that they’re “dumb,” and might be treated that way by others. They might live with this impaired sense of self for many years, but might one day decide to throw it out of the attic. Figuring out your theory of life isn’t as difficult as many people seem to think. There are three basic steps. Each requires careful and creative thought. First, you can begin to identify your ABCDs – or, more accurately, infer what they are – by reflecting on your behavior. We can see in ourselves, and more easily in others, that an impaired sense of self will be expressed in various forms of avoidance, reluctance, dependency, compensatory behavior, passive aggression, and self-sabotage. Self-defeating behaviors are the clues to the self-defeating parts of our theory of life. Next, you can go back and look for the key decision points – those few critical events or experiences at which you may have decided that you would never try a certain thing again; that you could never love, trust, or care for others; that you had to please others at all costs; that you were bound by certain obligations that restricted your choices; or that you were incapable of achieving what you dreamed of. Part of tracking down the critical decisions involves finding the key inputs. What did the significant people in your early life communicate to you, explicitly or implicitly, silently or verbally, non-verbally or “meta-verbally,” that pushed you toward certain conclusions? What were they “telling” you, about you, that led you to assume, believe, conclude, or decide something about your lovability, capability, or worthiness? The third step is to state explicitly, in writing, the half-dozen or so questionable assumptions, beliefs, conclusions, or decisions you believe you’ve made based on those inputs. Below each one, write its contradiction – what you will take to be true, or cause to become true, from now on. Arrange them in priority order, read them every day, and begin working on each one as an important and worthwhile project.